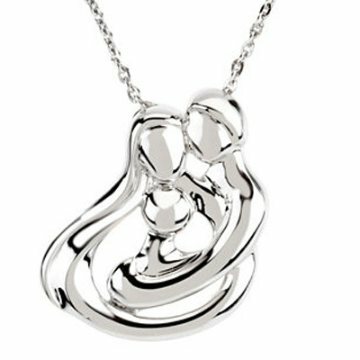 This unique Family Embrace necklace features either one, two or three children lovingly and securely wrapped in Mum and Dad's arms. Perfect for every mother whether her babies are here with us or looking down on us from heaven. No Waiting - the Family Embrace Necklace will ship the following business day.